What are the magical kingdoms of memory? You’re probably thinking, “huh?”—the Narnias, the Middle Earths, the places just over the rainbow of precise longitude and latitude? But rather than fictional worlds straight from the pages of a fantasy writer, I’m thinking of the kind of places that reside only in one’s memory, particularly because you can’t point to them on a map. One such place: I was very young and with Dad at the time. We were looking at a cow field and barn in the distance. There was a pond; the sky was blue and the trees were green. It was a view that left me breathless and in wonder. 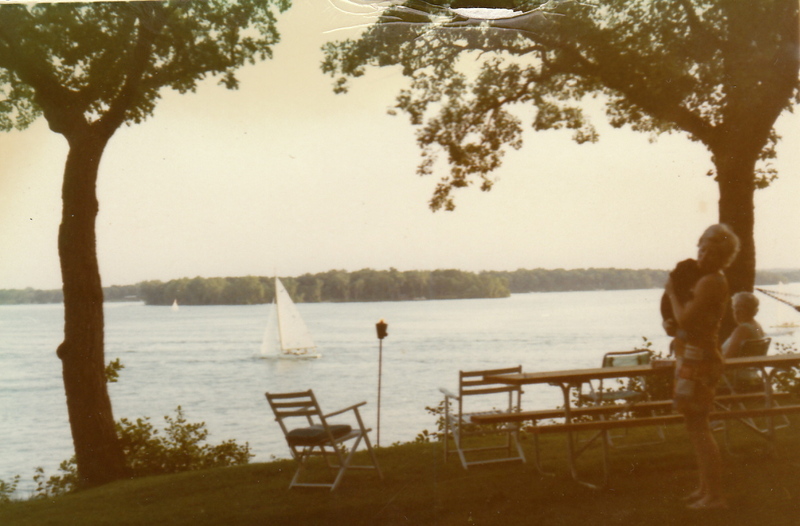 Another place: some lakefront snack shack in the late ’60s, a warm, summery breeze off the water mingling with the scent of coconut butter tanning lotion, an RC Cola sign hanging in the back, sun glinting off the lake. I don’t know where these places are, so they’re like memories of magical kingdoms. I saw them. I was there. But of all the places I can point to on a map, no place could ever match for magic our first house in Minnesota on Casco Point. 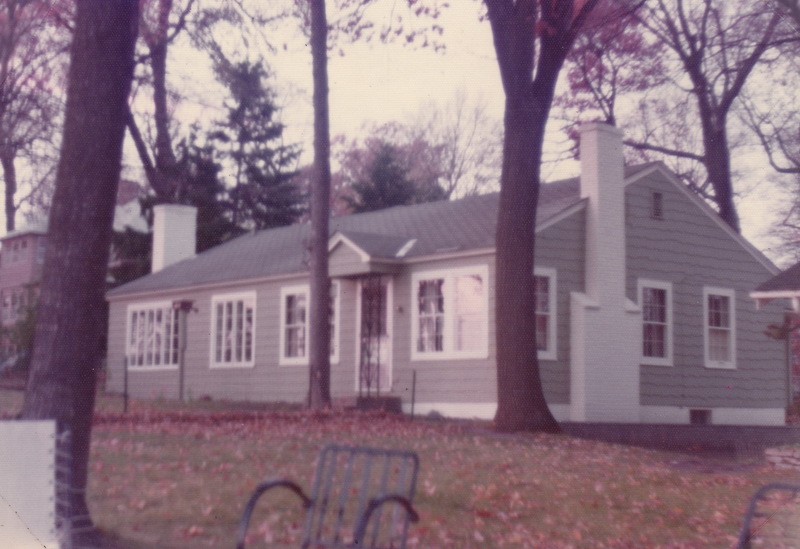 Looking back at all the old family photos, I’m convinced Dad and Mom were at their happiest at that little renovated summer cottage on a finger of land jutting out into Lake Minnetonka. Everyone at some point deals with the meaning of “home.” Some had a home and lost it. They’re looking for a new home or hoping to return to a long-lost one. Some may have never known home; maybe they travelled around the country, never staying long in one place. Some find home in a career or another person. Since Dad’s father was a trucker, farmer and day-jobber, there weren’t too many places Dad could look back to and call home. Mom had two: her birthplace in New Castle, Indiana, and the home in Greensburg where she met Dad just after starting nursing school. Mom’s parents were oppressive and dour, she was more lighthearted. She was more than happy to join Dad’s traveling circus. The Family Project would never have left north Indianapolis had she listened to her parents. In the summer Brian and I climbed the roof to look out at the lake. Dad had a workbench in the basement and another in a back room of the two-car garage. The house sat on a hill, so the stairway down to the lake was steep and narrow. A tiny boathouse and rickety wooden dock lay at the bottom of the stairs. 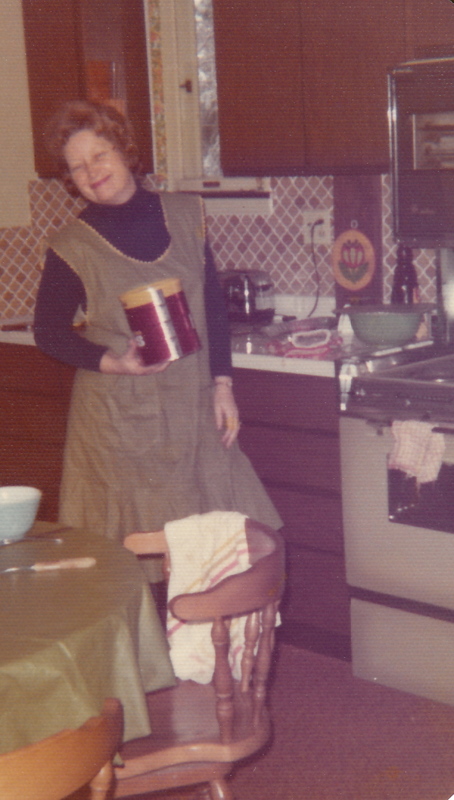 Mom loved her new kitchen: the microwave, the stove and dishwasher … although we had a small table in the kitchen, all our family meals were in the dining room, which had large picture windows overlooking the lake. In the center of the house was a separate room where Dad put up bookshelves. He called it his den. It had its own bathroom and closet, so Dad would always start his workday there, listening to Boone and Erickson on ‘CCO radio before heading downtown to the University. The jewel of the house was a gorgeous wood-paneled living room with stone fireplace and more views of the lake. 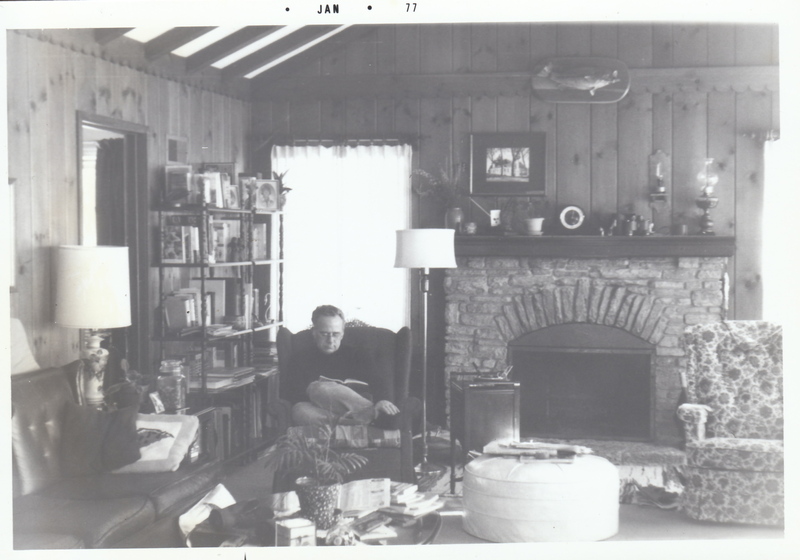 Dad liked to read in his favorite chair beside the fireplace (Dad pictured at right in 1977). Through the door on his right is the master bedroom, which was connected to the main bathroom we all shared (except for Dad’s bathroom in the den). Some time shortly after we arrived I scrawled a note on a piece of paper and inserted it behind the light switch (unscrewing the faceplate first), saying something about who we were and that we lived here in 1972— a sort of a time capsule. I was going to become a writer. ~ by completelyinthedark on February 14, 2011. That photo of your dad in the living room is really cool. What an a amazing room, his castle no doubt. Wonder if he was happy then? If life was what he thought it would be? No idea. He and Mom were going thru some changes. Wouldn’t surprise me if they both had affairs, but ended them quickly. Hard to imagine, but hey, they seem more human to me after death than they did alive.